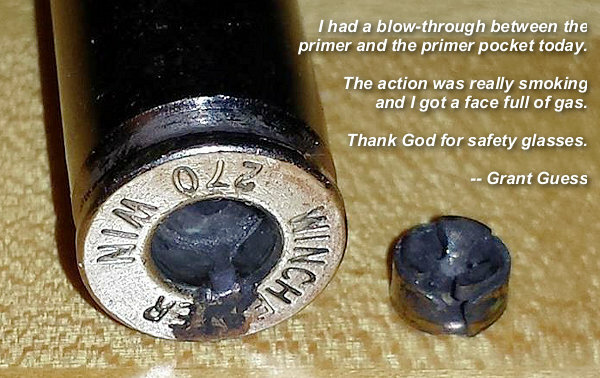 “I had a blow through between the primer and the primer pocket today. The action was really smoking and I got a face full of gas. This was a reasonably light charge. Thank God for safety glasses. Share the post "Primer Pocket Rocket — Good Reason to Wear Safety Glasses"
If you have a rifle chambered in .260 Remington, you may be wondering if the Lapua .260 Brass is worth the money compared to domestic-made brass. Well, the answer is “yes” if you demand consistent weight and dimensional uniformity (including neckwall thickness). 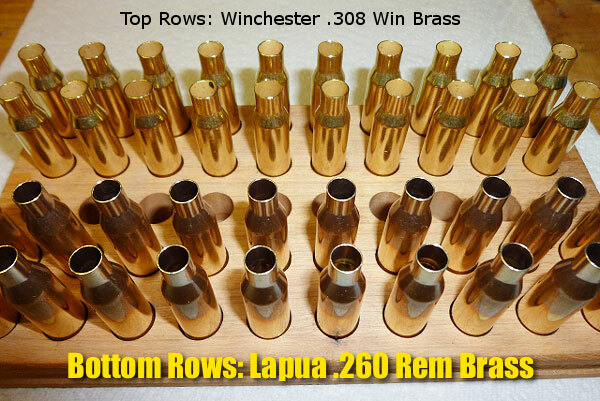 Mike Harpster of Dead Center Sports took the time to weigh and measure Lapua .260 Rem brass. His test show this brass to be extremely uniform. Weight variance was less than one (1) grain in a 20-case sample. And case neckwall thickness was very consistent. I pulled twenty (20) pieces randomly from one Lapua box to do some measurements. I weighed them on my Mettler-Toledo digital lab scale and here are the individual weights of each case. 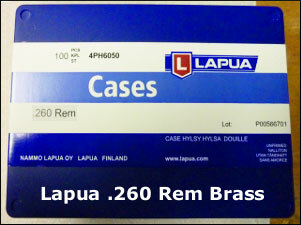 Remarkably, the Lapua brass had less than one grain total weight variance among all 20 cases! 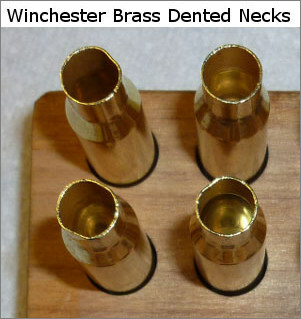 While checking the Lapua brass I remembered I had just received some Winchester brand .308 brass, so I thought it would be interesting to do a comparison between the two brands. I again pulled 20 cases at random from a bag of 50 and repeated the same measurements. The results are shown in the right half of the table below. With sample Lapua .260 Rem cases, I also measured the neck wall thickness in four places with calipers, not the most accurate method but I feel confident that the thickness did not vary more than .001″ over the 20 cases (.0145-.0155). The inside diameter of the neck measured .260 which would give .004 of neck tension out of the box. I visually checked the flash holes and I did not find any flakes of brass or burrs inside, the holes were round and centered. I have never done these measurements on any other brass so I don’t know how they compare, but I am very impressed with the overall quality of the Lapua .260 brass. If they prove to hold up to the repeated firings I get from my Lapua 6BR brass I believe .260 shooters will be very happy. 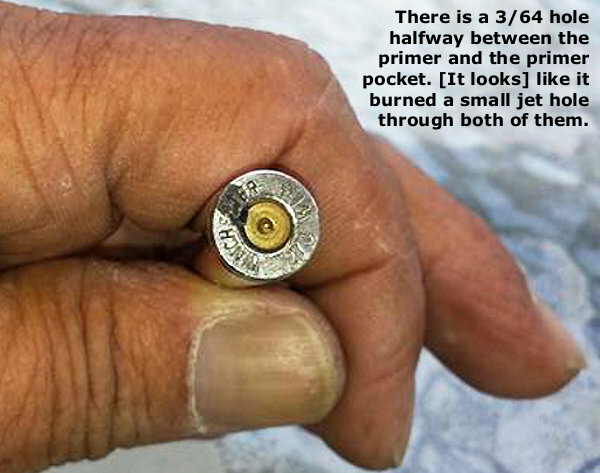 Share the post "Tests Show Lapua .260 Remington Brass is Very Uniform"
As more competitive shooting organizations (such as the U.S. F-TR Team) and manufacturers (such as Berger Bullets), turn to social media to distribute news and information, Facebook has become a much more valuable resource for shooters. Match reports (and photos) often appear first on Facebook, and many vendors post exclusive discount offers for their Facebook “friends”. 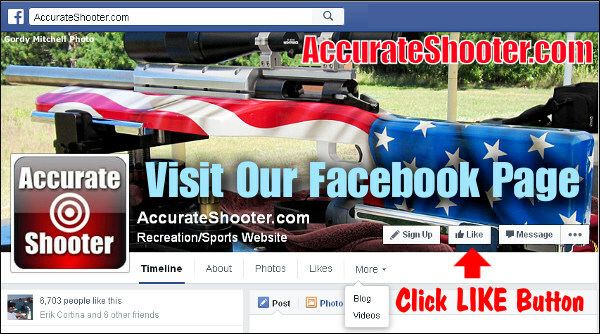 AccurateShooter has an active Facebook page, and we are close to reaching 7000 “Likes”. Will you help us reach the 7000 mark? UPDATE: Thanks Facebook Fans! We now have 6816 Likes (and counting!). If you haven’t visited Facebook lately, check it out. You’ll find lots of valuable information being shared among serious shooters. And Accurateshooter.com also posts popular news items and updates on our AccurateShooter Facebook Page. You’ll find links to many other Facebook pages of interest, such as the USAMU Page, the Sinclair Int’l Page, the USA F-TR Team Page, the CMP Page, the Berger Bullets Page, and the Target Shooter Magazine page. Visit the page at www.facebook.com/AccurateShooter. Facebook members can network with our page by simply clicking the “Like” (thumbs up) button near the top of the page. 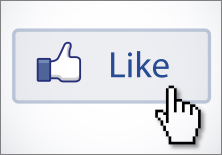 Facebook users who click the “Like” button can comment on our Facebook postings. In addition, if you visit our Facebook Page and click on the “MORE” button, you’ll find a Blog link with our latest Daily Bulletin items, complete with thumbnails and story summaries. You can also register with our Shooters’ Forum by clicking on the “Sign Up” button. There is no fee to join our Forum. Share the post "“Get Connected” with AccurateShooter.com on Facebook"